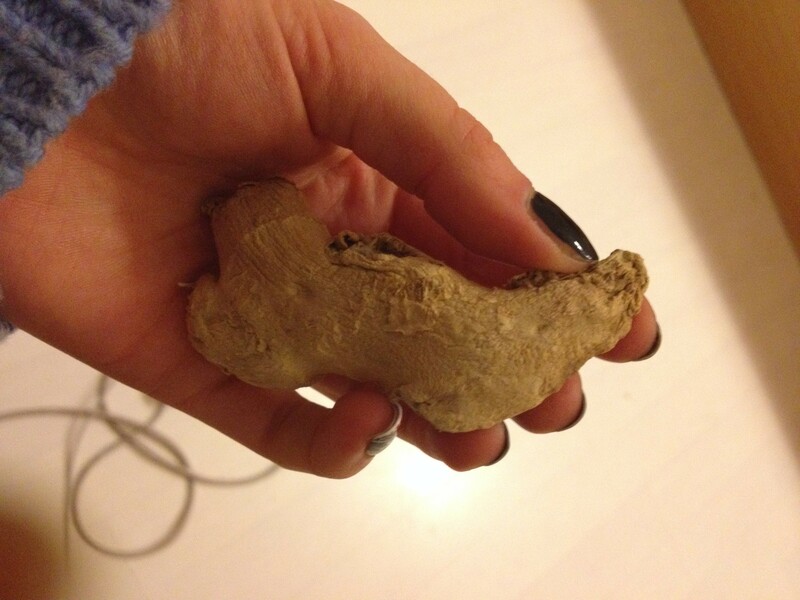 Ginger is one of my favourite things and it just so happens that it is also very good for our health. The active ingredients are terpenes and gingerols, which have been shown to destroy colon, ovarian and rectal cancer cells in the labs. Gingerols also have a powerful anti-inflammatory action, meaning that ginger might reduce the pain and swelling of arthritis and may also ease migraine tension. The best-known use of ginger is as a remedy for nausea and is as effective as prescription medicine in beating motion sickness without drowsiness. 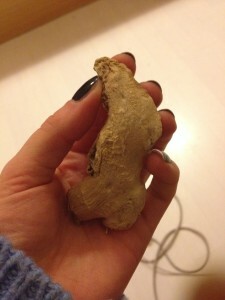 Ginger is also a digestive aid, relaxing the intestines. Fresh ginger contains the highest levels of beneficial compounds and can be stored in the fridge for weeks; add it to hot drinks, soups, stir-frys, juices and desserts. I don’t know if it’s in any way related, but my grandma used to bring ginger biscuits on long car journeys when I was little. Maybe she knew something good all along, or maybe it’s just because gingernuts are delicious. They make a great cheesecake base if you are ever looking for something to replace the digestive. Ground ginger is also great in a cake, as I’m sure you’re all aware…! Posted in Good foods, Healthy eating and tagged anti-inflammatory, arthritis, digestion, food, ginger, health, nausea, nutrition.